Being both a driver and a cyclist, and having done my bit for the cycling cause over the last few years, I feel justified in offering the occasional critical observation on the behaviour of cyclists on Britain’s roads. You don’t have to be Jeremy Clarkson to know that some cyclists ride carelessly. All the clichés are true: if you go for a drive in town, you’re bound to encounter a cyclist talking on a mobile phone, dangerously riding up the left side of a vehicle, riding with earphones in, suddenly veering across the lane to turn right, not having front and rear lights at night, and blasting through a zebra crossing or red light – perhaps all at once! That said, you’re also bound to encounter careless driving, which is a bigger sin, because a bad driver is in control (or not in control, as the case may be) of a ton of metal, effectively a missile. However, this ‘take the plank out of your own eye before you point out the mote in mine’ attitude has its downsides, and these are in evidence when it comes to cyclists. Being right can easily spill over into being righteous, and this brings certain unappealing habits. I’ve noticed that cyclists often – more often than drivers – don’t say, or make a gesture of, ‘thank you’ when you drive courteously in relation to them. For instance, if you slow down to let a cyclist turn in front of you, or to allow a cyclist out of a junction which you are about to turn into, or if you wait behind a parked car to let a cyclist pass in the opposite direction on a narrow street, often the cyclist won’t acknowledge your gesture in the way that most drivers would. I wonder why? You could argue that cyclists don’t raise a hand of thanks because they don’t want to take a hand off the handlebars. I’m not sure about this explanation. Cyclists momentarily ride one-handed in other contexts – say, when signalling to turn, or, indeed, when rebuking bad drivers (we’ve all done it, even though we shouldn’t). In any case, cyclists could at least smile graciously or mouth ‘thank you’ to a courteous driver, but usually they don’t. They just pass by seemingly in their own world, like a weary soldier with a thousand yard stare, or a rollerskating waitress on a busy night at the diner. I suspect that righteousness is the reason why cyclists aren’t friendly to friendly drivers. It is as though when cyclists don’t say ‘thank you’ they are thinking, maybe subconsciously, *my mode of transport is more ethical than yours, so drivers like you should always get out my way, and when you do, I don’t owe you any special acknowledgement*. The flaws in such a dismal attitude are obvious. Under the law, cars and cyclists have an equal right to use the roads. Even ethically a cyclist has no automatic precedence over each and every driver. Yes, sometimes drivers are being lazy. But sometimes they have a good reason for driving – a bad cold, a big load, a long trip, and so on. Drivers are people too, and, like all people, deserve courtesy as a default. The most perverse thing about the thanklessness of righteous cyclists is that their rudeness on the roads harms the cycling cause, by exacerbating the sense of resentment many people inexplicably feel towards cyclists. Worse still, ungrateful cyclists give those people a genuine reason to be irritated, and therefore supply a veneer of plausibility to the rest of their spurious complaints. 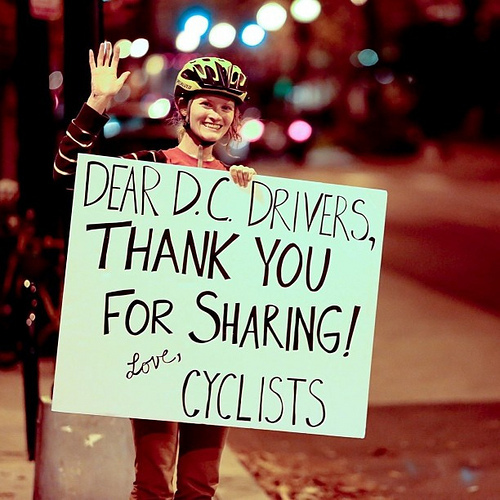 Come on, cyclists, let’s lighten up, and show gratitude towards good drivers. We need to give them all the encouragement we can. And, with a thankful smile on our faces, we’ll drop a big hint about the pleasures of cycling. If you've ever cycled up Spring Hill in Upper Clapton then a forthcoming Sustrans talk by mountaineer Simon Yates may be of interest. In all seriousness, I'm sure many a cyclist will empathise with the mindset behind mountaineering, especially the desire for thrills, fresh air and mastery over landscapes. Internationally acclaimed mountaineer Simon Yates is one of Britain’s most accomplished exploratory mountaineers, best known for his role in Joe Simpson’s book and film, ‘Touching the Void’, the true story of Simpson's accident in the Peruvian Andes and Yates's attempt to rescue him. 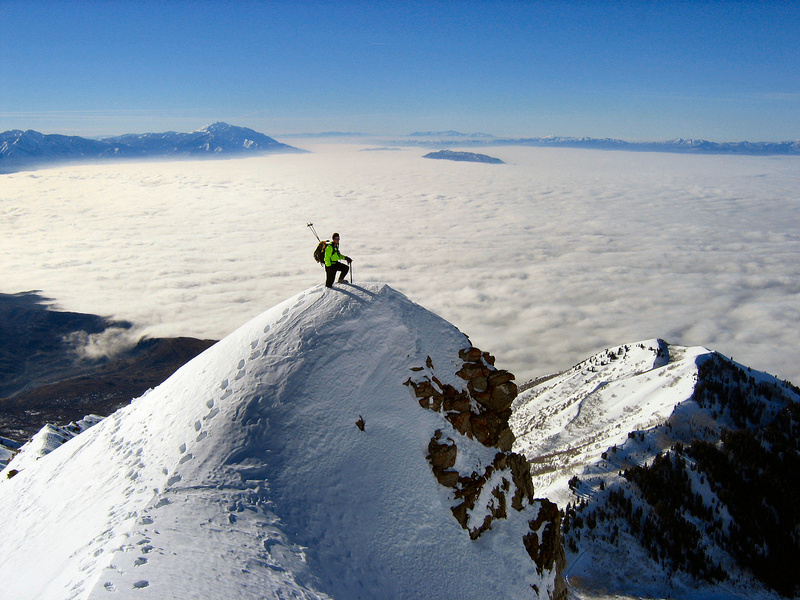 Simon’s climbing and travelling has taken him from Alaska to Australia, and from the Canadian Arctic to the tip of South America. Simon has written three books - all shortlisted for mountain literature prizes. In his latest book, he relates his own experience of the commercialisation of mountain wildernesses, while grappling with his new-found commitments as a family man. ‘Heartbreakingly beautiful’ – Theodore Dalrymple’s description of the Lake District was never far from my mind this week as I explored England’s largest and most visited national park, which may soon be a World Heritage Site. I think I discovered what Dalrymple meant. The area's mountains, valleys and glimmering sheets of water give you a feeling of intense yearning, but in their sheer scale they remain forever remote – out of reach yet captivating. The best way to experience such beauty is by bike. On a bicycle, you can take in so much more of your surroundings, yet get so much closer to them. I found cycling in the Lake District so addictive I covered 120 miles in four days, in three separate rides. For my first ride, I started out from where I was based, on the outskirts of Grange-over-Sands, a quaint seaside town with jaw-dropping views stretching for miles across Morecambe Bay. From the welcoming ‘Lothlorien’ holiday cottage which I stayed in courtesy of owner David Chadwick and his family, I rode up the east of Coniston Water then back down the other side. En route, I stopped at a lakeside cafe in the town of Coniston and learned about Donald Campbell, the daredevil who set water speed records on the lake but ultimately died there after crashing his 300mph boat, the Bluebird, in 1967. David joined me for my next ride, a lap of Lake Windermere (the biggest of the Lakes) starting from Newby Bridge. It rained for the first hour, but we didn’t care – the Lake District looks just as beautiful, if not more so, in bad weather. Before heading back, we made it all the way up to Grasmere, where William Wordsworth lived in Dove Cottage with his sister Dorothy. After we had a cup of tea, the sky brightened and we raced back to the car via the pretty lakeside towns of Ambleside and Windermere. David also joined me for my third ride – round the River Leven estuary to Ulverston, where Stan Laurel was born. There we stopped off for refreshments at the Manjushri Kadampa Meditation Centre. Having written a book on mindful cycling, I was looking forward to visiting the temple and pausing for a few moments of contemplation. However, when I tried to join in with the smattering of people who were meditating, I didn’t feel as inspired as I expected. For me, the bubble was burst somewhat by a cleaning lady emerging from a door and puncturing the silence by hoovering amongst the assembled visitors. But there were other, more fundamental reasons why I couldn’t help feeling more contemplative outside the temple than inside it. The building's underfloor heating; the gold-painted plastic Buddha statues in display cases; the keenest worshippers performing a bowing ritual that looked like they were in a P.E. lesson – all these things seemed slightly artificial compared to the splendid, life-enhancing scenery surrounding the temple. For inspiration, nothing beats the heartbreaking beauty of the Lake District. To find out more about Lothlorien cottage, which has 2 bedrooms and sea-views from the living room, or about cycling in the South Lakes, visit www.kentsbankholiday.co.uk. It’s New Year’s Eve and many people will be thinking about resolutions for 2014. Many of those people will be thinking about cycling. Perhaps you’re one of them. 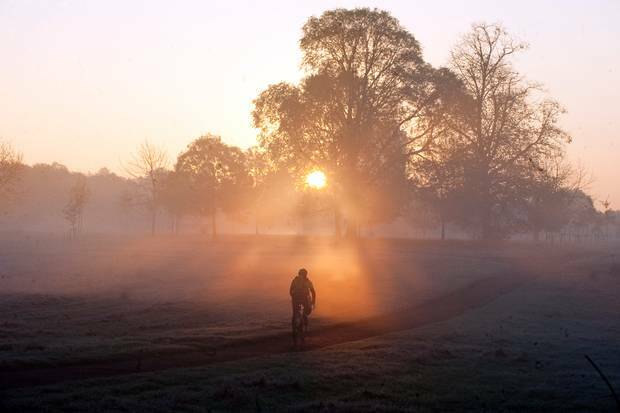 Deep down you know it makes sense – cycling brings free travel, fitness, fresh air, freedom, security, sociability and well-being. Who wouldn’t want a year full of these wonderful things? But perhaps you’re also someone who is fearful of riding a bicycle. With all the scaremongering around – which is disseminated, bizarrely, by cycle campaigners as much as the mainstream media – cycling can seem intimidating. In actual fact, there is little to worry about. One report has summarised that the risks involved in cycling are ‘minimal’ and ‘outweighed by the health benefits by a factor of around twenty to one’. Of course, safe cycling is very important – take some simple safety advice before you go. So is keeping your wits about you when you ride; don’t be a fool who cycles with headphones in. And you can always avoid heavy traffic by planning a route properly, sticking to quiet streets, parks and canals. That’s what I do. But, at the end of the day (or, indeed, the end of the year), to confront your fear of cycling you just need to get out there and ride - just like you did when you were a kid. As the American cycling advocate Richard Ballantine notes, ‘the bicycle is its own best argument’. All the best for 2014 – I hope it’s a great ride. Ben Irvine, Cycle Lifestyle Editor. Since it’s Christmas, I thought I’d give myself a break from thinking up new things to write about cycling (it’s a hard life, it really is). So this blog isn’t exactly about cycling. I say not ‘exactly’ because it did occur to me that Cycle Lifestyle isn’t exactly about cycling either. Indeed, lots of cyclists will agree that cycling isn’t exactly about cycling. Well, for me cycling is about well-being, fitness, stress-free travel, beating the traffic, the great outdoors, saving money, creating a nicer community to live in, and doing a little bit to protect the environment. I never cease to find it remarkable that a machine invented well over a century ago can still bring all these things to a person’s life today. So whatever good things cycling brings to your life, I hope you get tons and tons of them in 2014. Merry Christmas and a Happy New Year – from Ben, Rosa (my niece), and everyone at Cycle Lifestyle. What is it like to be a non-cyclist? When I was an academic philosopher, one of the questions my colleagues and peers used to be obsessed with is: ‘What is it like to be a bat?’. Bats navigate by echolocation – creating little sounds and measuring the time it takes for these to rebound from surrounding objects – which is a sensory system quite opaque to the human imagination. And therefore the nature of a bat’s experience is a subject perfect for speculation by philosophers, who are attracted to mystery like iron is to a magnet. To most cyclists, the answer to this question is just as mysterious as a bat’s experience is to a philosopher. Partly, no doubt, this is because cyclists are not – let me put this as delicately as possible – renowned for their levels of empathy and sensitivity. Cyclists tend to be solitary types, more interested in mechanical, chronological and geographical matters than people. But, even so, the question of what it is like to be a non-cyclist vexes the most empathetic of cycle campaigners. Choosing not to cycle seems perverse, especially in a city like London. Why would anyone choose to sit in a traffic jam or a cramped tube or a rickety bus, getting stressed out and paying for the privilege, when they could be cruising through pleasant streets on a bicycle, getting fitter and happier, and saving money? It’s a delicious mystery, one which I can’t resist speculating about. You can take the boy out of philosophy but you can’t take philosophy out of the boy. As it turns out, the mystery evaporates pretty quickly upon investigation, due to a fundamental difference between people and bats: people can talk, so you can ask them about their perspective. Given this, it is sad that many cyclists are tempted to prejudge the mystery’s answer: "non-cyclists are stupid". This is a boomerang of a comment: it says more about the utterer than it does about the target. So I’ve asked a few non-cyclists why they don’t cycle, and a few answers recur: it’s too dangerous, it’s too hard to navigate, it makes you too sweaty, it’s too cold, it’s too tiring, it takes too long. I’ve looked into the eyes of people making these kinds of pronouncements, and I think I can see in the reflection where they’re coming from. When you stand beside the road, with vehicles barrelling past, the cold air swirling around, the city sprawled out in all directions like a labyrinth, and cyclists occasionally weaving their way through as delicately as their breath hangs in the air, you suddenly see how intimidating cycling looks to the uninitiated. Of course, we cyclists know that there’s very little to worry about. The dangers of cycling are overegged, especially when you use backstreets or parks and canals; navigating is simple once you’ve built up a knowledge of useful routes; you don’t sweat too much on a bike, especially if you take it easy; cycling doesn’t make you cold, it warms you up; it’s no more tiring than walking; and usually it’s quicker, door to door, than other modes of urban transport. Sadly, anxious people have a habit of plugging their ears to rationality. No matter how much you try to convince non-cyclists, they may struggle to empathise with you. 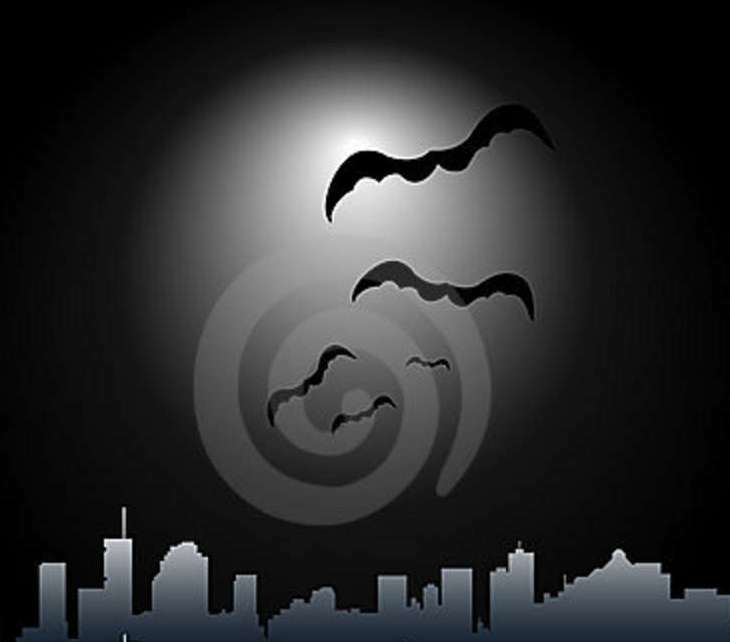 To them, you might as well be a bat, with an incomprehensible way of getting around. Have we reached an impasse? No! To demonstrate to a non-cyclist that cycling isn't quite what they think it is, you need to lead them to the holy grail of subjective experience, the ultimate acid test unavailable to bat-curious philosophers. Take non-cyclists out for a ride. Reassure them that you will keep them safe and take care of the technicalities. Let them see for themselves that their preconceptions are mistaken. Let them appreciate first-hand the joys of cycling. I’ve been receiving a lot of emails recently from cycle campaign groups asking for money – money which they will no doubt spend on apocalyptic PR, which only further frightens non-cyclists. This Christmas, if you really want to promote cycling, then organise a bike ride for your family or friends – Boxing Day or New Year’s Day would be a good time. If they don’t own a bicycle, buy them one. Show them how beautiful the world looks from a bike. Show them what it is like to be a cyclist. Read more about What is it like to be a non-cyclist? Barclays Bank has announced that it will end its association with the Cycle Hire scheme in London in 2015. The bank has denied that its decision has been based on the increasing bad publicity surrounding cycling in the capital. But with Boris’s Cycle Superhighway routes sharing – co-incidentally – a similar blue colour as the bank’s insignia, there has been speculation that Barclays is seeking to avoid any association with further cycling fatalities on those routes. If such speculation contains any truth, then the cycling campaigners who made capital out of the recent spate of cycling deaths should be ashamed of themselves. I warned, at the time, that scaremongering about cycling would scare off cyclists – it didn’t occur to me that it would also scare off investors in cycling. Inevitably, some muddle-headed commentators are saying they are glad to see the back of Barclays, citing, for instance, nonsensical clichés about the undesirability of bringing ‘private money into the public sphere’ – as if there were any other origin for public money. I’ve always found it strange when cyclists complain about corporate money in cycling. I once heard a woman moaning about Sky’s involvement in the sport, as if the mainstream is inherently cursed and therefore curses whatever it invests in. This bizarre view seems to imply that if the mainstream were to invest only in good causes then this would be a bad thing. An ideology which has this logical consequence is clearly ridiculous. So it's a big sarcastic ‘well done’ from me to the cycle campaigners who disseminated apocalyptic headlines in response to a tally of deaths in London which was actually relatively low. My fellow campaigners, you have, possibly, managed to convince a mainstream investor to lapse into the majority’s spurious view that cycling is ‘too dangerous’ – and you have done this by hushing up the positive evidence about cycling, in order to further your own agenda. With ‘friends’ like these, cycling hardly needs enemies. What do you get someone who has (or knows) everything for Christmas? Q. What do you get someone who has (or knows) everything for Christmas? The Journal of Modern Wisdom is Cycle Lifestyle's sister publication. Copies of volumes 1 and 2 are available from www.modernwisdom.co.uk. Buy both and get one half price. As testimonials show, the Journal of Modern Wisdom is a beautiful, illustrated publication full of inspiration from celebrated thinkers – a perfect gift for this time of year. And thus endeth the marketing. Read more about What do you get someone who has (or knows) everything for Christmas? ‘Give the gift of LCC membership and help protect your loved ones who cycle’. You may have noticed in recent instalments of this blog that I have been complaining that cycle campaigners and the media are both guilty of pandering to people’s fears about cycling. I suppose it is understandable, if not justifiable, when it comes to the media, since they have to attract readers, listeners and viewers, and the public is voyeuristic. However, when it comes to cycle campaigners, fear-mongering defies reason. Yesterday, an email plopped into my inbox advising me to ‘Give the gift of LCC membership and help protect your loved ones who cycle’. Clearly, this is designed to stir up deep anxiety. For a start, the insinuation is that cyclists are riding around 'unprotected'. Leaving aside the notion that the LCC (London Cycling Campaign) is an adequate prophylactic, the biggest cycle campaign group in the capital is, in effect, declaring that the average person who rides a bike requires protection. What an inspiring rallying cry! What a ringing endorsement of the healthy, uplifting and fun activity we cyclists love! As for those we are loved by, I’m sure we all know plenty of Londoners, e.g. my mum, who spend their waking hours needlessly worrying about us out on our bikes. In a new twist on the Christmas spirit, the LCC is basically asking for money from these worried people – an approach not entirely dissimilar to an insurance salesman preying on anxious pensioners. Or, indeed, to the extent that the LCC stokes people’s fears first and then promises to soothe them afterwards, it is an approach that reminds me of gangsters and their extortion rackets. As the great Bill Hicks used to say – Did I miss a meeting? When did we all become so crass? 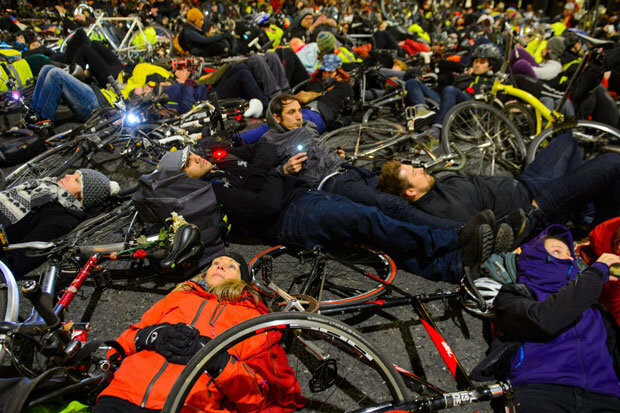 Last Friday, over 1000 cyclists staged a ‘Die-In’ outside Transport for London’s offices. As far as I can see, this basically involved people lying down on the road with their bikes, as if dead. I’m sure (fairly sure) these cyclists meant well, but I don’t think pandering to the majority of Londoners’ fears about cycle safety is going to further the cycling agenda in the capital. If you think that sounds heartless, then consider this fact: on the day of the Die-In, hundreds of thousands of cycle journeys were completed in the capital and nobody died. And nobody died the day before that. Or the day before that. And so on, until you get back to the spate of cycle deaths a few weeks ago. The thorny question of who is to blame for those deaths seems to have obscured the fact that there have been relatively few cycle deaths this year as a whole. Also obscured is the possibility that the recent deaths were simply accidents. In turn, the obsession with blame obscures the question of why accidents occur. When I cycle in London, I try to minimise my chances of getting into an accident involving a truck or bus: I cycle on quieter streets where buses and trucks don’t go, or if I can't avoid busy streets I get off and push for a while. (Please insert your favourite car insurance comparison website marketing slogan here). I try to encourage the readership of Cycle Lifestyle to do the same. In a similar vein, I am campaigning for a London Cycle Map and network of colour-coded routes on safer streets, to help all cyclists avoid the most dangerous roads and junctions in the capital. Alas, the London Cycle Map Campaign remains almost entirely unreported on by the mainstream media or by cycle campaign groups. Die-Ins make catchy headlines. But catchy headlines don’t necessarily make for good democracy. Maybe we should have a Die-In for democracy.